Sacramento, California-based rocket and missile propulsion manufacturer Aerojet Rocketdyne just received a $6 million contract from the US Air Force to define 3D printed rocket engine component standards. These new standards will be used to qualify any components used in liquid-fueled rocket engine applications created using additive manufacturing technology. The contract was awarded by the US Air Force Booster Propulsion Technology Maturation Broad Agency Announcement, which is part of an all-inclusive Air Force strategy to shift away from the Russian-made RD-180 engines that are currently being used on the Atlas V launch vehicle and towards new domestically produced options. Additive manufacturing technology is likely to be a key factor in US-based companies success in developing new rocket engines. Not only does the technology dramatically reduce the costs associated with the development and production of components, but it also allows prototypes and end-use parts to be made quicker. That allows engineers to have a much wider window to adjust or tweak the parts being made, which results in better designed and better performing components. And 3D printing also allows engineers and designers the ability to create parts with much greater complexity and geometries that would be virtually impossible to produce using traditional manufacturing technologies and processes. The Aerojet Rocketdyne AR1 Booster Engine can be configured as a single engine or a twin booster. “New liquid rocket engine designs—like the AR1 engine we are building to replace the Russian-made RD-180—are increasingly taking advantage of 3D printing technology because it reduces the amount of time and money required to build these complex components. It is imperative that engine manufacturers understand the qualification methodology for this revolutionary technology because of the criticality of the assets they help launch into space,” explained Vice President of Advanced Space & Launch Programs at Aerojet Rocketdyne Julie Van Kleeck. The SpaceX Merlin 1D engine includes 3D printed parts.. The standards that Aerojet Rocketdyne will be defining will include the exacting engineering, inspection and safety processes that will be followed during the design, production and testing stages of any 3D printed components. They will help make sure that any 3D printed rocket engines or parts will meet the rigorous requirements expected from aerospace systems. Van Kleeck sees the new standards as essential to the successful production of new American-built rocket engine ready for the Atlas V and the proposed Vulcan launch vehicles by the targeted 2019 launch dates. Clearly the Air Force believes that Aerojet Rocketdyne has the experience and technological knowhow to define part and manufacturing qualification standards seen as vital to the development of the next generation of space vehicles. “We are taking our seven decades of experience in building rocket engines, which represents more than 2,100 successful launches, and combining that with our in-depth knowledge of additive manufacturing to assist the Air Force in defining qualification requirements for this technology. In fact, Fast Company magazine named Aerojet Rocketdyne No. 1 in its ranking of ‘The World’s Top 10 Most Innovative Companies of 2015 in Space,’ because of the company’s advances in additive manufacturing,” said Aerojet Rocketdyne’s Director of Advanced Launch Vehicle Propulsion, Dr. Jay Littles. In the last few years Aerojet Rocketdyne has been a driving force in the development of new materials and manufacturing processes that support complex rocket engine designs. The company recently was successful in hot-fire testing an engine constructed of completely 3D printed parts that managed to produce a thrust of 5,000 pounds. Earlier in the year they also used 3D printing to manufacture an injector in the gas generator used on un updated version of the original Apollo-era F-1 rocket engine. The demonstration was conducted to show that a proven rocket engine design can be manufactured using 3D printed parts at a competitive cost without the need to sacrifice performance or quality. 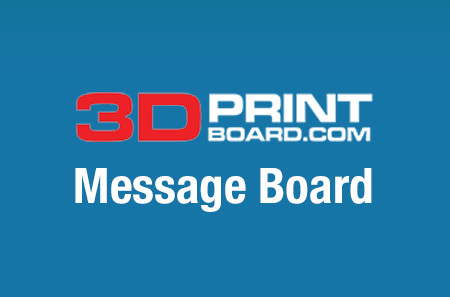 Discuss this exciting news in the US Air Force 3D Printing Forum on 3DPB.com.